During a disaster or emergency, having a reliable, long-running light source is absolutely crucial. But with so many flashlights, lanterns, and headlamps on the market, which one do you choose? Let’s take a look at a few of the options in this blog article. A flashlight is probably what nearly everyone has in their home already. Take a look at the one you own — does it have a standard bulb, or is it an LED model? Is the switch in good working condition? Have the batteries leaked at all? (More on batteries later…) It may be time for a replacement if things aren’t looking so good, or if you are just itching for an upgrade. 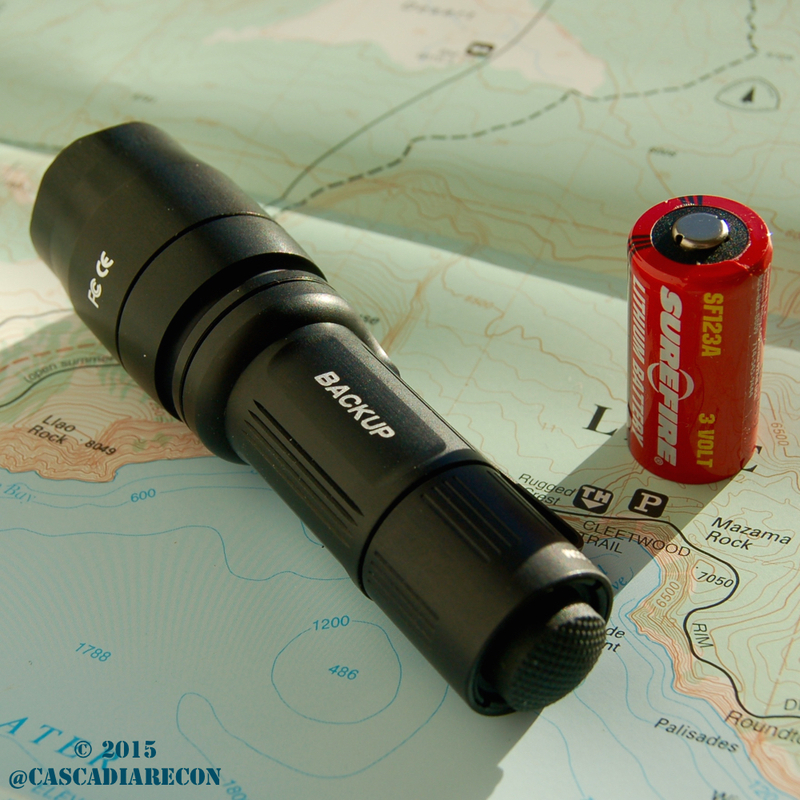 For preparedness use (and every day carry), it’s best to avoid flashlights that feature many different modes. You want something simple that can be clicked on-and-off once or twice, not a light that requires fifteen different button presses and combinations to cycle from a strobe setting to a constant-on output. Being able to keep both hands free during a task is an excellent advantage of the headlamp. However, not all headlamps are weather-resistant. There’s nothing worse than being up on a ladder or in a tough spot and all of a sudden your headlamp goes out. A good headlamp should be easy to operate with gloves, regulated in its light output, and sealed with rubber gaskets to keep out moisture. Providing light to a wide area, lanterns are great for setting on a table or shelf and illuminating an entire room. There are several varieties on the market — propane & white gas powered lanterns, fluorescent bulb lanterns, and LED bulb lanterns. For use inside, a fluorescent or LED bulb lantern is the best bet. For outdoors or camping use, a propane or gas model can be efficient — but should probably be avoided for disaster use, as there may be a gas leak in the neighborhood or other combustibles nearby. For preparedness, these have a pretty limited use. But on a daily basis they are very handy for finding your keys, looking in a dark bag, reading a map, or peering under a car seat. Unfortunately, they often have a short battery life if left on, and run on one or two coin cells, which makes changing the batteries out difficult. These can be handy during a disaster, as they don’t run on batteries, have no electrical connections (so are safe during a gas leak, for example), and work well for marking locations. If you are going to invest in a box or two of these to keep in your kit, be sure to go for a quality brand and check the expiration date. Whatever kind of light you ultimately choose, don’t forget the other half of the equation — batteries. A good set of batteries will easily pay for themselves on a day-to-day basis, as well as during a disaster. Here at Cascadia Recon, nearly all alkaline batteries have been disposed of. Alkaline cells tend to leak over time, and in some cases, even while still in the manufacturer’s packaging. A leaking battery can damage or worse yet, destroy, expensive electronics. While cheap, alkalines should be the last choice on your preparedness list. Advanced rechargeable NiMH batteries now come in AA and AAA sizes, and can be found in most stores. If choosing a rechargeable NiMH battery, go for the “pre-charged” or “low self discharge” variety, such as Eneloop and similar. They will hold most of their charge for up to a year and beyond, and perform very well in high-drain devices. Additionally, they can often be paired up with a solar or USB battery bank, giving you even more options for recharging during a disaster. Combined with a good quality charger, NiMH cells will give you years of use and save quite a bit of money over alkalines. In recent years, LEDs (light emitting diodes) have become much more powerful in output, and much more efficient with regards to battery usage. When buying a new light, look to see if the model you are interested in has a “regulated” output. This is ideal, as it means that the light will maintain a constant, steady output and not dim over time as the batteries diminish. Older style lights will rely on a traditional bulb — this is a problem in a disaster situation, as you will need to be sure to have spares on hand. Oh, and changing a bulb in the dark can be an interesting process, to say the least. This phrase holds true for a lot of things, and lighting is no exception. Always be sure to have a reliable backup source of illumination nearby. While modern LED-based lights have all but eliminated the need to replace bulbs, they are still made up of electronic components and can fail for a number of reasons. Shown with this article are a couple of examples — one is a SureFire E1L Outdoorsman LED flashlight, while the other is a SureFire E1B Backup LED flashlight. While both models are a few years old now, they both feature a long-running output, with two modes (high & low), and take a single lithium CR123A cell. They also sport a lifetime warranty and come from a reputable company that stands behind their products. All in all, a couple of good suggestions for being prepared. Whatever light you choose, be sure it is one you would be willing to stake your life on in a crisis. There have been a lot of new (and cheap) lights flooding the market recently, but many have QC issues, poor runtimes, and non-regulated output. Be sure to check out the following links for more details on any particular light that interests you. Many sites are run by fellow hobbyists and have a wealth of information.